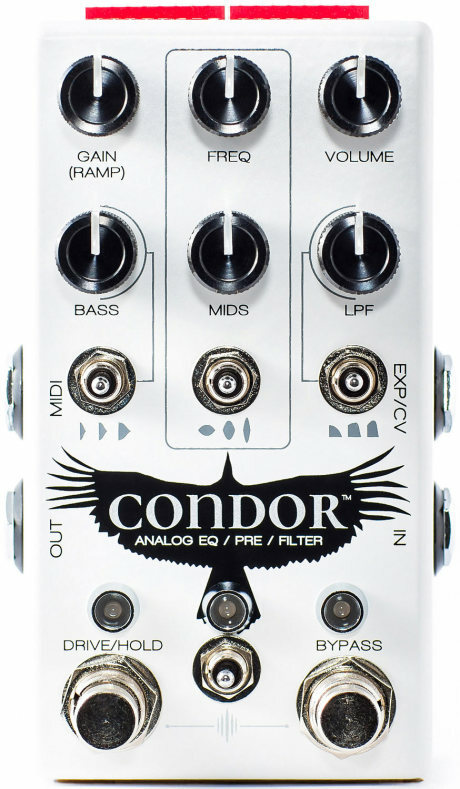 100% analog signal path with digital control/presets/midi. Switchable to clean or overdrive. 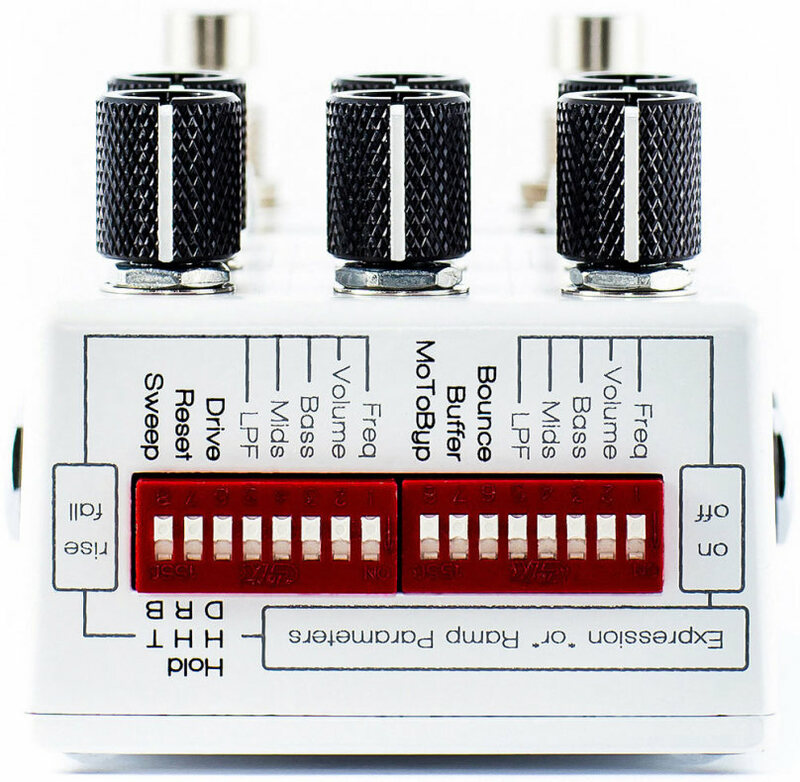 Parametric boost/cut mids control from 150Hz to 5kHz with 3 “Q” settings. 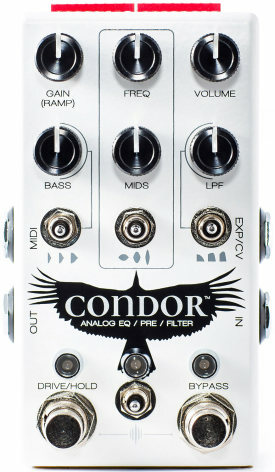 Bass boost/cut control with 3 intensity settings. LPF filter with 3 settings: normal, slight resonant, very resonant. Ramping/hold functionality for LFO filter tremolo effects. True bypass or buffered bypass selectable via dip switch.